We know the great call that Jesus gave to Christians before He ascended up to Heaven was for the Great Commission. We also know that this means that we should share with others about God’s redemption and heart of relationship for His lost people. But how many of us realize the amount of effort and intention it takes to make not just converts, but also authentic disciples? The Men Alive fellowship at DUMC is an initiative that takes this call seriously. Sensitive to this need in the Church, particularly among men who are so used to isolation, Men Alive was formed as an intentional discipleship programme for a group of people that is probably among the most vulnerable; expected to be strong but also expected to battle alone, sometimes even without an orientation with God. On the 28th of March 2015, Men Alive shared a marathon session about intentional mentoring, specifically why it matters and what it takes. Brother Lim Kah Hooi and Pastor Chris Kam gave insight about the subject, based on their years of experience. In my personal observation, we seem to be living in times that are increasingly chaotic as each day passes. There is so much anger and hurt in the world, and at times people seem to be not able to differentiate a cause or faith with mere politics. In such times, people do irrational things in the mistaken belief that this is what they were called to do. Very often, as Christians, we too are affected and there is also a danger of us being carried away by our emotions. This is why discipleship and mentoring is so important among Christians today. Christians need to know what an authentic Christian faith and Godly perspective is all about. We are called by God to redeem the world and change the environment we are in, and often it takes intense spiritual battling. One of the accountability groups sharing. The heartening thing about being in such an environment is that Christians are also awakening to the times, and many young men are starting to form discipleship groups in which each member is accountable to the others. In each session of Men Alive, members of these groups are invited to share about their journey of faith and growth in these groups, as a communal encouragement for the other men in the church. Brother Lim Kah Hooi is the National Director of FCCI Malaysia (an International Marketplace Ministry). In his years of ministry, the Lord has used him to mentor and grow many young men into being effective Atmosphere and Culture Changers for the Lord. He shared that he gained immense encouragement from hearing the testimonies of the groups who shared on the day. “I hear words like ‘intentional’, ‘relationships’, ‘(being) vulnerable/(open)’, ‘authenticity’ repeatedly. The accountability groups that shared know what the focus of mentoring is about,’ he conveyed. 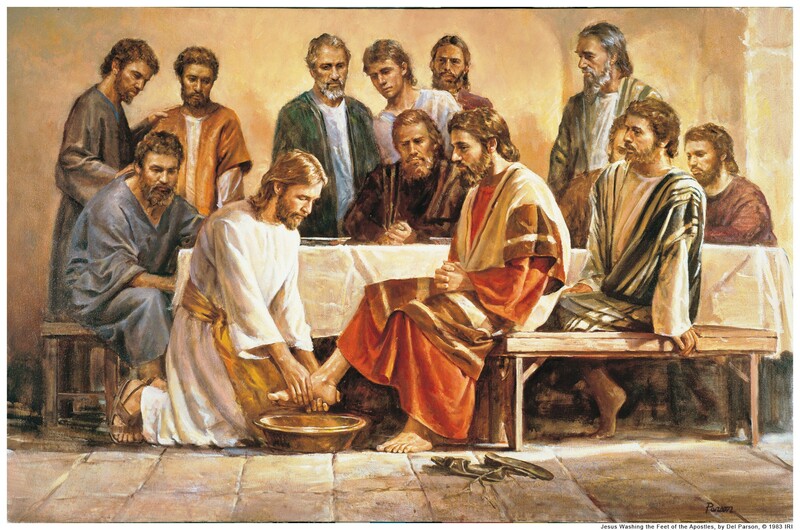 He imparted that the best example of mentoring comes from Christ Himself. Jesus had many levels of mentoring. We find him speaking to crowds, teaching many, training some, discipling 12, and very often having one-to-one communication with many of His disciples. “Jesus had a structure in the way He ministered. As we go from the one-to-one contact to His speaking to crowds, we see each level grow larger. But He also showed us the importance of relationships by purposefully building the people around Him up,’ brother Kah Hooi shared. Brother Kah Hooi sharing about the levels of Jesus’ mentoring. Being bodily confined as a human when He was on earth, Jesus knew that He was spatially and temporally defined during that time and that He could not minister with the same level of depth to every single person in the crowd. He was wise to the importance of one-to-one mentoring and in equipping the people who were closest to Him, so that they could multiply the work of God’s Kingdom. So the first pointer about effective mentoring is investment on a one-to-one level with people that have a heart for God, and with whom the Lord has given to us. Secondly, brother Kah Hooi also educated us about our self-perception. There is a Public Self to every person in which certain aspects of a man are known to both the public and himself. There is also another part in us due to the fact that many men are so used to wearing masks. We have masks for every part of life; for our families, in our workplace, and so on, and we tend to separate these parts into distinct groups and certain things we share with one group we do not share with the other groups. This is known as the Hidden Self. The different Selves in a man. However, what many of us may not know is that we have a Blind Self that is unknown to ourselves but clear in front of others. Furthermore, we also have an Unknown Self that is unclear to others and also unknown to ourselves. This Unknown Self only God can peer into and have perfect knowledge about. Because of this multiple selves in every man, the point of references in mentoring is in reality incredibly dynamic. In the mentoring process, every man is accountable to each other. We get feedback about our blind sides. We learn how to disclose ourselves and seek for counsel in overcoming our hidden selves. And in time, as we learn how to listen to the Lord, God will patiently develop us by revealing our unknown selves to us; how to develop every potential and how to grow from every previously unknown weaknesses. We often think about mentoring as a process in which an elder man builds up a younger one. But the Bible has a multitude of examples about peer mentoring. Some examples of such groups are Joseph and his eleven brothers, Moses and his elder brother Aaron, Jonathan and David, in fact even Jesus and His 12 disciples. Every born-again Christian have a source of wisdom from God (for example, the word of God in the Bible) and the equipping for mentoring people who are the on the same level as ourselves, and very often we find we have things to learn from the people who are in our mentoring group. The purpose of the mentoring process is foremost to answer the call of the Great Commission. The Parable of the Good Steward teaches us of the need to multiply and be good stewards of the resources and talents that God has blessed us with. Mentoring differs from coaching in that it passes more than knowledge and skills. It differs from discipleship in that discipleship is about discipline and building or investing values. In effective mentoring, there is an intentional but also relational connection. It is oriented on the deepest level in a life-to-life axis. It aims to develop wholesomeness; that is, the whole of a person. There is openness and vulnerability and a genuine and authentic bond. People trust and know that they can rely on each other. They know what to expect from each other and that they’re accepted in love and not legalistic judgement. Effective mentoring is like a family relationship. Pastor Chris Kam also provided some counsel about mentoring. Firstly, each party in the mentoring needs to have a connection with each other. The mentee must be serious about his intention in being mentored and really want to be mentored. Secondly, mentoring is not about feeding but about equipping and empowering each person’s unique gifts and personalities to the best outcome for their role in God’s Kingdom. Mentoring is about the life journey, and the product is God’s work, not ours. Pastor Chris Kam (left) and Brother Lim Kah Hooi sharing about prudence in mentoring. There are no shortcuts in mentoring, and the progression is organic and not directive. If we are mentoring someone, we need to remember that mentors are not Jesus. We can only ‘channel’ Christ and point the way to Him. Mentorship needs a lot of prayer. Mentors need to pray for the people they’re mentoring, and mentees need to pray for a mentor if they do not have one and for the mentor if they have one. Brother Kah Hooi advised mentors not to cross genders; the best mentors for men are men, and the best mentors for women are women. The session ended with an education for men on how to understand women better and on how to reconcile differences in the way men and women are oriented and communicate. W2W (Women To Women) Essential 15 Conference – Ready? Get Set. Go!